PNB Principal Dancer Carrie Imler in Kiyon Gaines' "Sum Stravinsky"
Quick, what's the first word that comes to mind when somebody asks you to describe a ballerina? Are you thinking ‘graceful’? What about ‘delicate’? That's how friends and colleagues describe Pacific Northwest Ballet principal dancer Carrie Imler. "I would honestly describe her as fierce in every definition and example of the word," says Imler’s good friend and fellow principal dancer, Jonathan Porretta. "She is an athlete, she is fearless, she's an artist." "I kind of like fierce," Imler admits with a demure chuckle. Carrie Imler in rehearsal for "Swan Lake"
At first glance, Carrie Imler looks anything but fierce. She has long dark hair and bangs (she pins them back when she's onstage), wide-set dark eyes and the elegant carriage of the longtime dancer she is. On this particular afternoon she's wearing a stiff white rehearsal tutu that's stained in spots, and a pair of tattered pink tights. She’s replaced her pink pointe shoes with a pair of flexible slippers. An oversize gray fleece jacket tops off this not-so-stylish ensemble. Imler is soft spoken, but quick to laugh. Particularly when you point out how many men in the audience describe her as their favorite PNB dancer. "I see," she answers slowly. "Maybe it's because I am a strong athletic type. I'm not your rail thin ballerina." PNB's Carrie Imler in George Balanchine's "Apollo"
At 36, (an elder stateswoman when it comes to professional ballet dancers), Carrie Imler seems fit and ageless. Her shoulders are broad, her legs muscular, her energy unflagging. 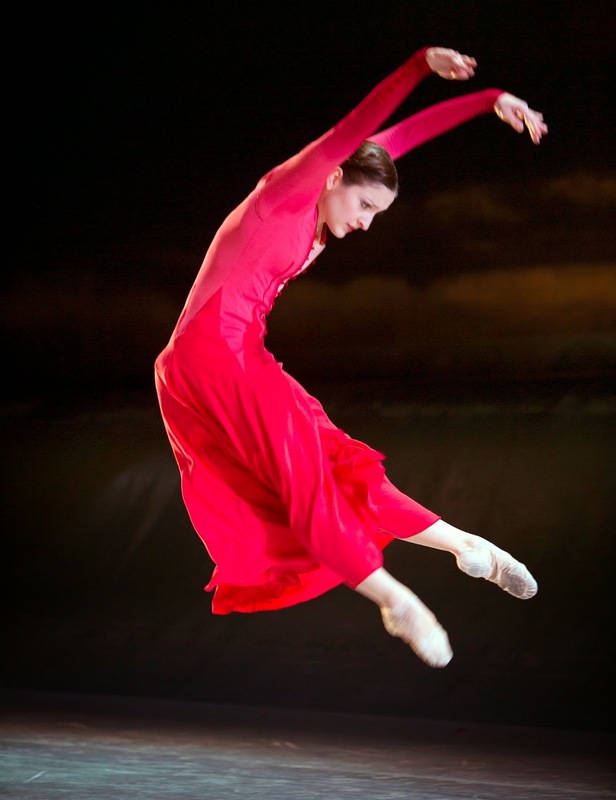 Imler's boss, PNB Artistic Director Peter Boal, says not only is she strong, she's also versatile. "Carries has broken the mold in some ways, because of the whole range of roles she can do. She's a jumper, and a turner, too." Despite that kind of praise, Carrie Imler isn’t PNB’s version of Felix Hernandez, the star ballerina. Imler has been mostly content in her role as the dependable third starter in PNB’s version of baseball's pitching rotation. Imler’s good friend Jonathan Porretta is more candid about what it’s like to be passed over for opening night. 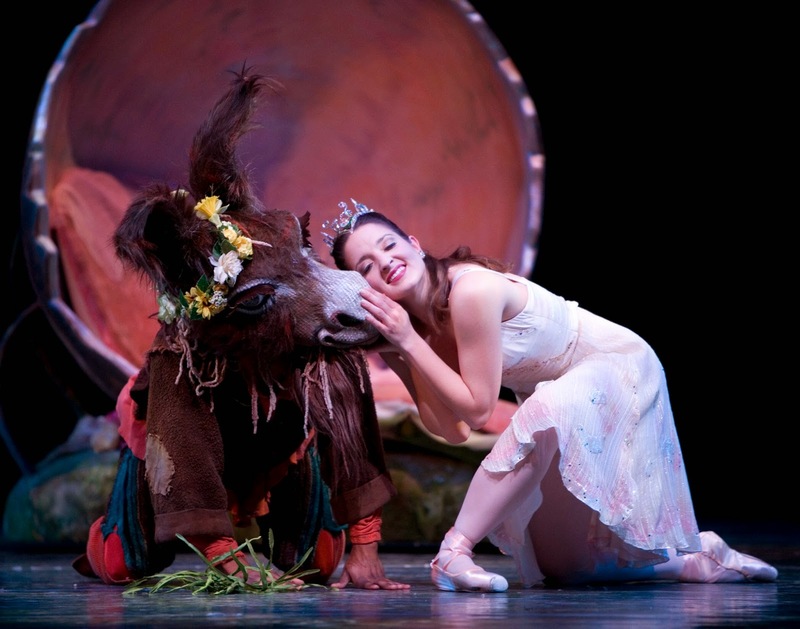 Carrie Imler (with Kiyon Gaines) in "Midsummer Night's Dream"
“I don’t think it feels good,” he admits. But Porretta agrees with Imler that whether or not dancers are in the opening night cast, performance is the whole point of a ballet career. Carrie Imler starts her 20th season in Pacific Northwest Ballet this month. She has, at most, another ten years before her body won’t be able to sustain the rigors of the daily hours of rehearsal. She pauses when asked about her legacy to her colleagues at PNB. Jonathan Porretta believes his friend has given more than that over her two decades at PNB. PNB Principal Dancer Carrie Imler in Jyrie Kylian's "Forgotten Lands"
Seattle-area audiences have a chance to see Carrie Imler this weekend in George Balanchine’s “Jewels” at McCaw Hall. She'll dance in "Diamonds" at the Saturday matinee, September 27th, and Friday evening, October 3. I love seeing this fantastic ballerina in the spotlight; I love watching her do modern roles, as well as classical ones. Thanks Marcie!